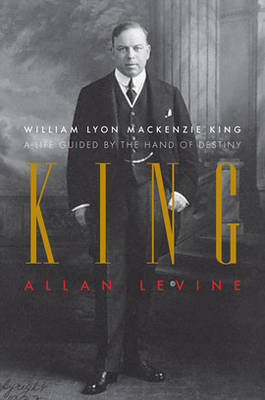 William Lyon Mackenzie King, twice former Prime Minister of Canada, was a brilliant tactician, was passionately committed to Canadian unity, and was a protector of the underdog, introducing such cornerstones of Canada's social safety net as unemployment insurance, family allowances and oldage pensions. At the same time, he was insecure, craved flattery, became upset at minor criticism, and was prone to fantasy - especially about the Tory conspiracy against him. King loosened the Imperial connection with Britain and was wary of American military and economic power. Yet he loved all things British and acted like a praised schoolboy when British Prime Minister Winston Churchill or U.S. President Franklin Roosevelt treated him as an equal. This first major biography of Mackenzie King in 30 years mines the pages of his remarkable diary, at 30,000 pages one of the most significant and revealing political documents in Canada's history and a guide to the deep and often moving inner conflicts that haunted Mackenzie King. With animated prose and a subtle wit, Allan Levine draws a multidimensional portrait of this most compelling of politicians.